San Jose Sharksdefenseman Dan Boyle will be the honorary bell ringer at San Jose's Winchester Mystery HouseFriday the 13th celebration. 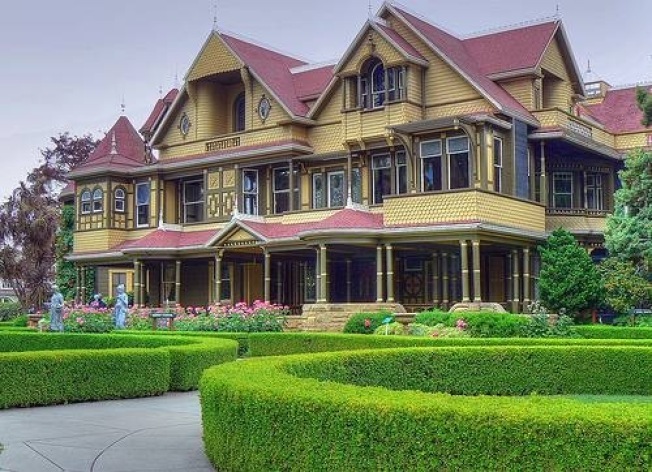 Boyle will toll the tower bell 13 times in honor of Sarah Winchester at 1 p.m.
Evening flashlight tours of the historic house will then take place from 8:30 p.m. until 1 a.m. Saturday. The house once belonged to Sarah Winchester, who thought she would live eternally by building a house to appease the spirits she thought were haunting her family. Winchester also had a passion for the number 13, as reflected in the various types of symbols for the number 13 found throughout the mansion, from 13 palm trees to 13 bathrooms. The mansion, which extends over four and a half acres, is famous for architectural oddities, such as a staircase that descends seven steps and then rises eleven, twisting hallways, and secret passageways in the walls. The mansion is located at 525 S. Winchester Blvd. Tickets for the evening tours are $45.